A daily diary from the annual Netroots Nation conference. I had a zillion Amtrak miles to use, so I decided to take the train to Providence instead of experiencing the joys of I-95. It was a great decision. The train left Trenton on time, had free wi-fi, and arrived in Providence on schedule. I took the short walk from the station, past the State House, to the hotel. Although the event doesn't officially start until tomorrow, there was a lot going on. 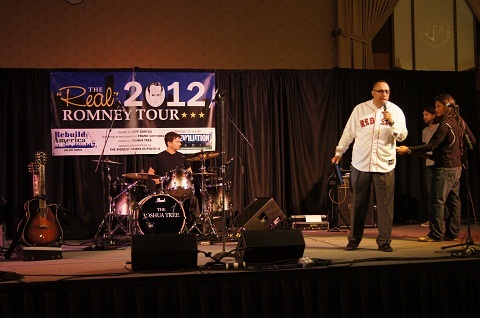 I went to the kickoff of “The Real Real 2012 Romney Tour”, emceed by Boston radio talk show host Jeff Santos. There, I had a nice (and timely) chat with a University of Wisconsin student who was attending Netroots on a DFA scholarship. With guests both in person and on the phone, Santos presented a mixture of comedy and reality in pointing out who Mitt Romney really is. Actor and Comedian Frank Santorelli (“Georgie the Bartender” of Sopranos fame) was his sidekick. (They'll be in New York July 12 and Philly October 4). During the commercial breaks, we were entertained by the band Joshua Tree – a fairly decent, albeit very loud, group of musicians. A small-town Massachusetts former mayor talked about how Romney was disconnected with the rural communities and could only relate to the Boston elite. “Teaching is the most important profession in America.” “You cannot have a strong educational system without a strong union.” - Lawrence Purtill, President of the National Education Association – Rhode Island. Feeney also pointed out that Romney was the first governor of either party not to meet with the president of the AFL-CIO. After the Santos show, I went over to a reception sponsored by the Rhode Island NEA. 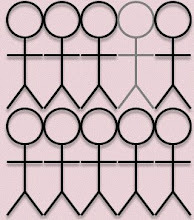 It's amazing how many people have heard about Marie Corfield, even if they don't know her name. And those who haven't heard about her are impressed and encouraged by her story. Come back here tomorrow for my thoughts on the first day, including the evening keynote by New York Attorney General Eric Schneiderman.